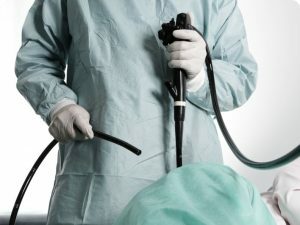 A difficult colonoscopy is one “in which the endoscopist has trouble getting through the entire colon or fails to do so,” according to Dr. Jerome Waye. An estimated 10 to 20 percent of colonoscopies are considered difficult. 80 percent of these are due to looping as a result of a torturous or redundant colon, and 20 percent can be attributed to a fixated / angulated sigmoid colon and / or strictures. Difficult colonoscopies are problematic because they either result in longer-than-expected procedure times (and a lot of aggravation) or incomplete procedures. In difficult colonoscopies, looping is a frequent challenge. It occurs when the colonoscope stretches and distends the colon in response to the physician’s efforts to advance the scope. Looping is most common in the sigmoid colon, although it can occur anywhere the scope encounters a barrier. Because looping increases discomfort and lengthens the procedure, it can result in prolonged exposure to higher levels of anesthesia. Therefore, there is a strong incentive to mitigate it as much as possible. Along with physician scoping techniques, the best way to address looping is to apply counter-pressure to the patient’s lower abdomen to “splint the colon” (i.e., hold it in place). Unfortunately, the physical maneuvers required for advanced scoping techniques can leave endoscopists in pain, or worse yet, injured. A review of current literature found that musculoskeletal complaints are extremely common among GIs; the incidence of pain and injuries ranges from 29% up to 89%. Of course, the goal of colonoscopy is to reach the cecum so that the colon can be thoroughly examined and any polyps can be removed. Difficult colonoscopies threaten this goal and can result in an incomplete procedures and / or compromised ADR. To eliminate looping and help the doctor advance the scope, endoscopy nurses and staff routinely apply abdominal pressure in roughly 60% of colonoscopies. If manual pressure doesn’t work, patients are typically repositioned onto other side or onto their stomach. Quality educational materials and best practices for applying manual pressure have undoubtedly enhanced the safety and efficacy of these practices. Yet sometimes, there is just no safe way for these techniques to be performed. As a result, strains and injuries are still quite common among endoscopy nurses and staff.